In previous article we show you how to become affiliate. In this article we will explain how to take advanatage of our affiliate program. 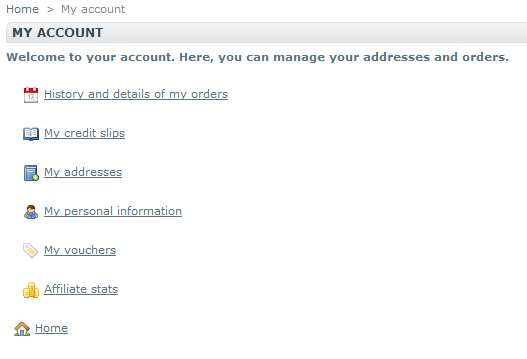 First login into your account (after you registered as affiliate on our site http://modulout.com). Than select “Affiliate stats”. Here you can insert any link from http://modulout.com site and click generate. Generated link you can paste into your site or any other place. Every user how will click on this link will have stored your affiliate code in cookies for 20 days. That means if he will buy after 10 days, you still will get affiliate procents from his order. You can use our banners and logos for promoting purpose. There are 2 categories: modulout and betting scripts. Modulout is a team of developers who develop extensions/modules for different platforms like Joomla, Prestashop, WordPress etc. On the other site Betting scripts is Modulout’s brand which focus on betting market and develop extensions/modules associated with betting for different platforms. Here you can sort all order by date (from to) and see details of orders. There is also unique voucher code, which is very important because with this code user will get 5% in modulout shop and you will get 15% from order. Total revenue means how much money do you earn with our affiliate program. There are 3 categories: to be paid, pending and total paid. To be paid means how much money you can withdraw. Pending means how much money is pending at this moment and you will get as soon as possible on your account. Total paid is total amount of paid money. Submit payment button is enabled when “to be paid” is more than 0€. Here you can see what is going on with your request about payment. There are next statuses: paid, pending, rejected, accepted. If you have any question about affiliate program or any other, do not hesitate to contact us.